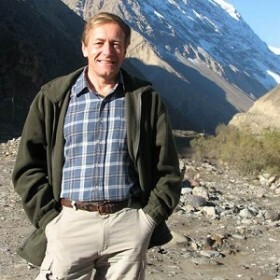 Dr. Mike Moser has experience and contacts regarding ecosystem conservation in more than 30 countries, and with leading international organisations and conventions (Ramsar and Bonn Conventions, GEF, UNDP, MAVA Foundation). Recent major projects focus on applying the ecosystem management approach to wetland conservation in Iran (Lake Uromiyeh and the Mesopotamian marshes), the Maldives and Inner Mongolia (China). Mike has undertaken evaluations of large international programmes including the Tri-lateral Wadden Sea Cooperation, the Mediterranean Wetlands Initiative, The Regional Network of Marine Protected Areas in West Africa, and projects for the MAVA Foundation for Nature. Mike also specialises in institutional and governance arrangements for biodiversity conservation and application of the CBD Ecosystem Approach. Mike is Chair of North Devon’s UNESCO Biosphere Reserve Partnership (UK) and a member of the Board of the Tour du Valat Foundation (France) (since 1990). He was also a Council member and Acting Chair of English Nature (1999-2007), the UK Joint Nature Conservation Committee (2001-2007), the Board of the International Foundation for the Banc d’Arguin (1990 – 95), the Scientific Council of the Bonn Convention (1989-2002) and the Council of the Wildfowl and Wetlands Trust 1993-96. He is a Counsellor of Honour of Wetlands International (since 1988). Mike graduated from Durham University in 1978 with a 1st Class Honours degree in Ecology. He then completed a PhD (1984) on wetland ecology in the Camargue, S. France. He was Estuaries Officer and then Director of Development for the British Trust for Ornithology 1983- 1988, and Director of Wetlands International (formerly IWRB) from 1988 – 1999. Mike has written and edited more than 50 scientific publications on wetland ecosystems, their biodiversity and conservation. Mike lives on a farm in SW England, which he manages under the agri-environment schemes. His wife, Jo, is a freelance writer for natural history television.